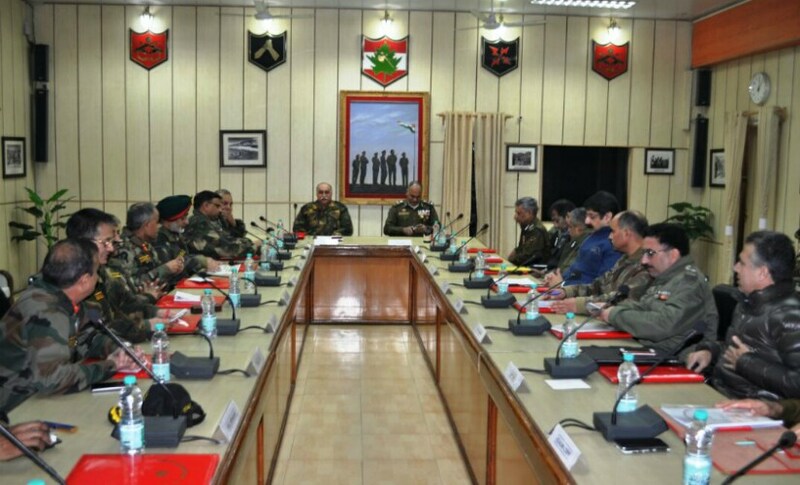 Last week the top security brass thronged the 15 corps headquarters at Badamibagh in Srinagar for the Core Group Kashmir meeting, co-chaired by General Officer Commanding (GOC) Chinar Corps, Lieutenant-General JS Sandhu and former Director General of Police (DGP) K Rajendra Kumar. The meeting was called to discuss a new distinct challenge that the security forces are confronting on the ground, while carrying out counter-insurgency operations. The participants noted that the over the last year, the local residents were obstructing any counter-insurgency operation launched by the security forces in the Valley. The hostile residents were coming in the line of fire, distract security forces and pelt stones on them. 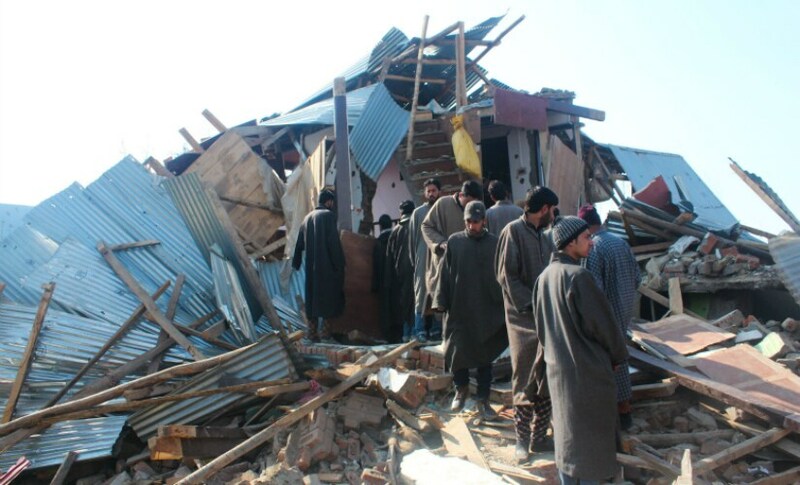 There had been a number of such cases, wherein the locals had shielded the militants and helped them to break the security forces’ cordon and flee. There was a perceptible concern among the meeting participants about the possibilities of collateral damage in such operations, which could add fuel to fire. 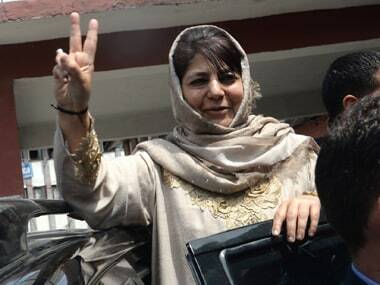 The core group meeting took place in the backdrop of a five-month long unrest, triggered by the killing of Hizbul Mujahideen commander and a charismatic local militant, Burhan Wani on 8 July. The sweeping cold waves of chilai kalan, the 40-day harsh period of Kashmiri winter and the growing fatigue finally put an end to the summer of unrest. But the onset of winter also means that the militants hiding in the forests move towards the hinterland, increasing the chances of confrontations and gun battles with the security forces. 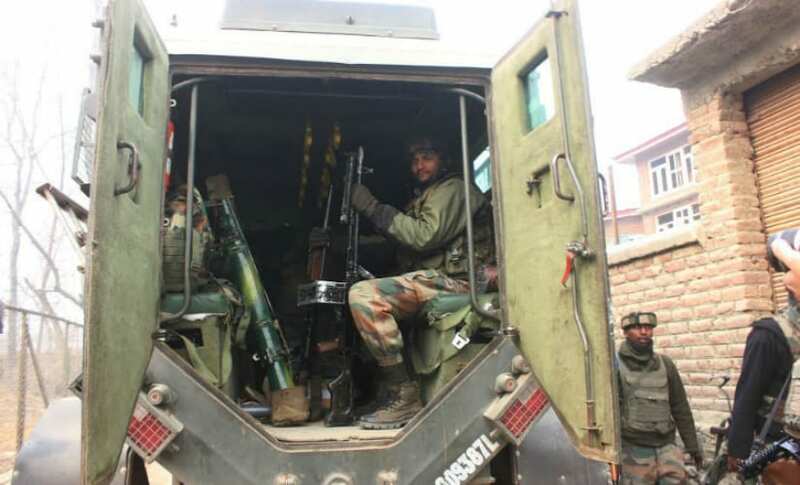 A week before the core group meeting, 50 kilometers north of Srinagar, Special Operations Group of JK Police and Army’s 13 RR unit cordoned off Parray Mohalla of Hajin town in Bandipora, after receiving specific inputs about the presence of two militants. 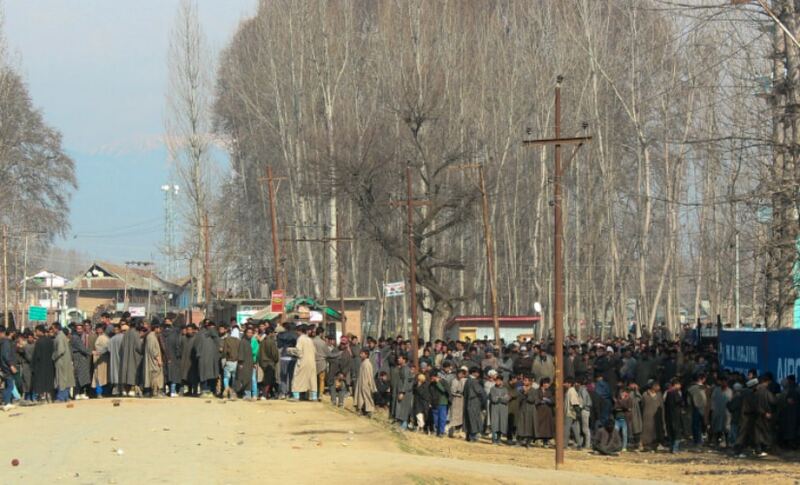 As forces and militants began exchanging fire, locals swarmed the encounter site and began protesting. The baffled security forces, despite several warnings to the people, could not force the locals to withdraw. The protesters pelted stones on security forces, ultimately enabling the militants to break the cordon and flee. The militants who were hiding in the village were later identified as Musaib, Maviya and Khitab, all Pakistani nationals, who had infiltrated in Kashmir few months. 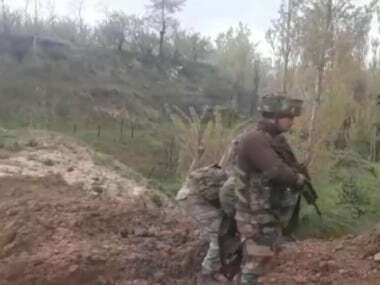 Security forces had been tracking them for many days in the area, but the locals’ protests during the encounter forced them to let the militants go. It was the third time that locals of Hajin had risked their lives and helped militants escape. Even at the time of writing this story, the locals had once again helped militants to break the cordon, by staging protests. Thirty-year-old Ayoub was one of those protesters, who has regularly participated in the protests, disturbing the momentum of the security forces during the encounters, and helping militants flee from the cordon. Every time, the security forces enter their neighbourhood to catch militants, he has tried his best to help them flee unharmed. He feels if one cannot pick a gun, one should help others who have picked up the weapon for their sake. Sometimes protesters win, sometimes the security forces. Ayoub believes that excessive policing and human rights violations have removed fear from the hearts of people about the security forces. This is echoed by Abdul Basit, a lawyer and a student of international relations and conflict studies, who described this trend as a dangerous shift in the people’s mentality. “The same corners that have witnessed the bloodshed have erupted in rage. There was a time when if security forces fired on the street, people wouldn’t come out for days. Today, people are attacking security installations. Fear, as a weapon of war has been overused. If they don’t have fear to die, to have pain, to lose future, then how would you be able to control these people,” Basit said. “Luring them with better future prospects and incentives is unlikely to help. The Government needs to come up with a new engagement policy. 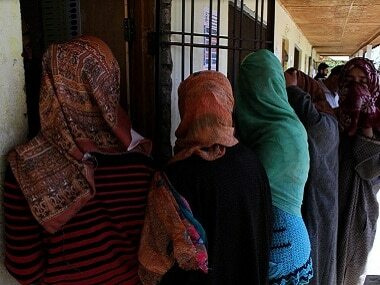 Fear is an old currency in Kashmir,” he remarked. For the police and army troopers, trained to fight a conventional war, the hostile population’s activities during an encounter, is a completely new situation. They find themselves in a situation which was, perhaps, not taught in their military schools or even the veterans had not witnessed such unprecedented outburst of emotions. For the past one year, police have been making announcements and appeals, using loudspeakers, asking people to avoid getting closer to the encounter site, but it has had little effect on the people. On 31 December, nearly eight people were injured at South Kashmir’s Samboora Hamlet in clashes between security forces and protesters who were trying to help militants flee the area and were successful. 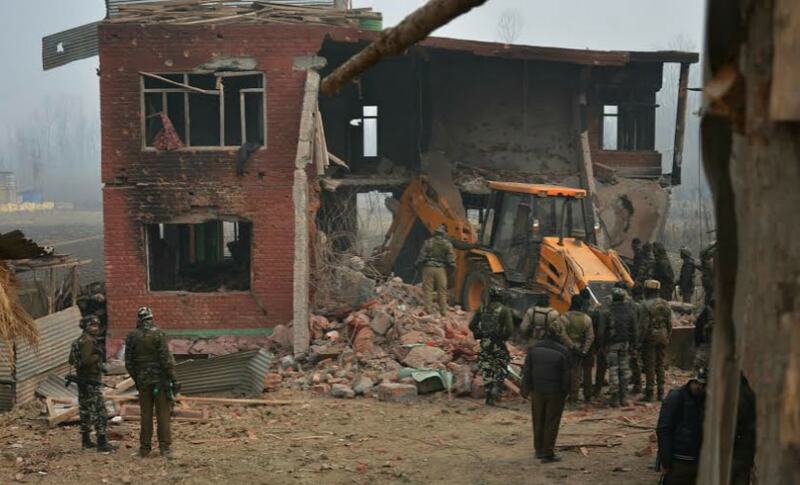 In another such instance, in south Kashmir’s Arwani village on 8 December an emotional protester rushed towards the house where militants were believed to be holed up and was hit, as per police, by a stray bullet. He died instantly, leaving behind his fiancé who had got engaged with him after convincing their families for several months. A top police officer, who spoke on the condition of anonymity, said the challenge for the security apparatus is not to eliminate a militant, but what follows after the gunfights. 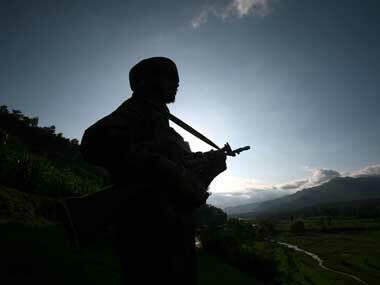 Encounter sites have emerged as a new battleground between youth and security forces. “During 1990s, youth crossed the border out of curiosity and believed that they will come back with the gun and defeat the army. But that did not happen and everybody knows that those groups disintegrated for various reasons. Today, they are not crossing borders and are fighting with bare hands. They are driven by sentiments only,” he said. “We are seeing a different ball game now. Today’s militant is more passionate about death,” he added. While describing the intensity of the clashes during encounters he said, “Everyone wants to be a martyr in Kashmir. Death is their incentive. You cannot defeat such mindset. Compared to earlier unrests, the marked difference is that the protesters this time are fearless. They have no fear of getting killed, caught, blinded or maimed. Look at these new militants. They are defying fear by removing the masks from their faces, unlike their predecessors of 1990s. Their brazen display has really appealed youth. 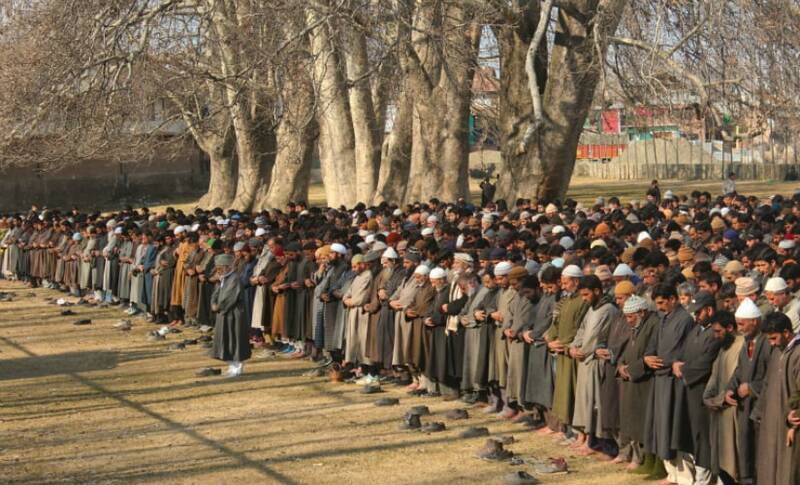 Everybody wants to have Burhan like funeral (reportedly attended by two lakh people). So martyrdom is the new normal in Kashmir”. To tackle the problem, security forces are adopting new techniques. Few days ago in north Kashmir’s Bomai area of Sopore on December 14, the police suspended mobile phone services, in an attempt to prevent the word of encounter getting spread and thereby avoid the locals from gathering. The security forces were successful to kill top Lashker-e –Taiba Commander Abu Bakar who was active in the area for nearly eight years. They were partially successful as after the operation, the security forces had to face ire of the irate locals. Senior Superintend of Police Baramulla, who has conducted several such operations, Imtiyaz Ali who feels that the phenomenon might be new but they have been conducting successful operations under hostile conditions for some time. “All we need is to have the right approach. We have done a number of operations and at times we have finished operations with a few bullet shots. But, yes, these days we have to be extra careful as people can mess things up. So we travel with some additional force, which would be able to deal with the law and order situation. Protests were always there, but these days their intensity is high. So we also have to gear up. But nothing can bother us from eliminating these militants”. Meanwhile, the Core Security Group Kashmir has asked the security forces to push militants to the forests, so that they can be eliminated without any law and order issue.